LinkedIn is the one of the most highly used business networking platforms online. In addition to Twitter, Facebook and other social networks, the website can be used for a variety of interactions. For marketing professionals, a LinkedIn strategy can be a great way to find new customers, especially those in business. In this post, we will cover what features and benefits your strategy should include to attract new clients. LinkedIn has many groups across a variety of industries. In addition to joining existing groups to meet and interact with customers, you can also create your own group. Keeping your clients in mind, try to create a group that is unique and would suit them. Of course, getting individuals to join a group that you created is great for your marketing efforts. You and the company will come off as the authority for that group. Every great LinkedIn strategy requires you to send out connection invites to lots of industry people. But, if you are not personalized your LinkedIn invites, you are doing it wrong. Make sure to personalize every connection invite you send. Provide reasoning as to why you are reaching out to them as well. This will help you to establish a connection right from the start, making people much more likely to accept your requests. Be sure to try out this LinkedIn strategy whenever you get the chance. The results will surprise you. As the marketing professional, it is up to you to post attractive company updates just as business colleges do. Customers like to know what is going on with their providers. If you have something new, exciting or interesting, company updates are a great place to share. Surely, any prospective client would be more likely to do business if you have new and exciting things happening in the company. Odds are, you are already active on Facebook and Twitter. 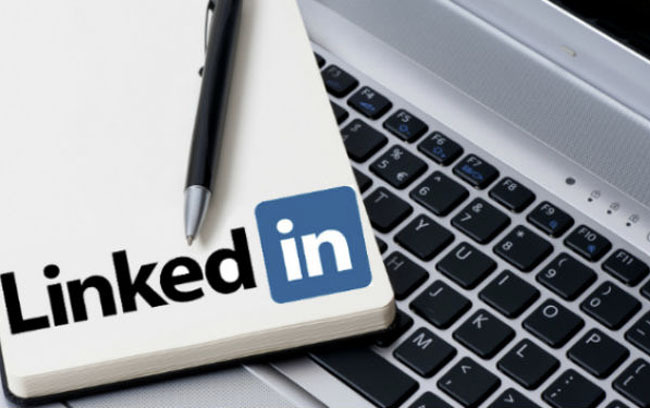 In addition to your existing social networks, use your professional network to connect with people on LinkedIn. By connecting with your existing contacts, you can start conversations with their connections and reach a broader audience. This is one of the most effective ways to promote your new business. Of course, this is a great way to get a LinkedIn strategy up and running quickly. If you want to use an effective LinkedIn strategy, you need to have the followers to do it. Generating followers is one of the most important aspects of LinkedIn marketing. The best way to do this is to use company ads to find and target audiences. This will help to establish business relevance. You should also be sure to add a LinkedIn follow button on your website and even your email signatures. This will help you to generate followers on LinkedIn so that you can reach a larger audience with your content. Having your company’s page on LinkedIn is a great strategy. The LinkedIn brand page can help tell potential customers about your company. This is your chance to really communicate to any potential clients why your company stands out from the competition. To take advantage of this, claim the company page and get your overall brand strategy on track. Once you have your connections made and LinkedIn company page set. Many savvy marketers use a content strategy to attract clients on LinkedIn. By sharing information, tips and tutorials on your specific services, there is a good chance that your network will share it. As a result, your company receives exposure to new leads and prospective clients. If you own a recruitment company, this is especially necessary, as it is incredibly effective. Next, if your marketing department is holding an event, LinkedIn is a great place to post your events. Even if these are not strictly professional, company events can be promoted in your updates, company page and interactions. This is a great opportunity to market to potential clients and win new ones over at your event. Of course, your LinkedIn strategy should be all about exposure to new leads for your business organization. In order to attract new clients, use all the tools listed in this post. By connecting, posting, marketing and branding, you will be on your way to being a successful marketing professional. The company will be very happy with your overall strategy and positive results.